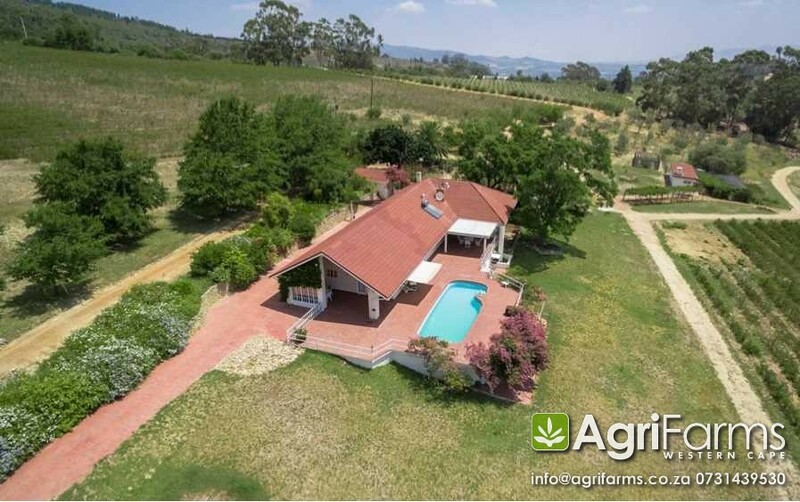 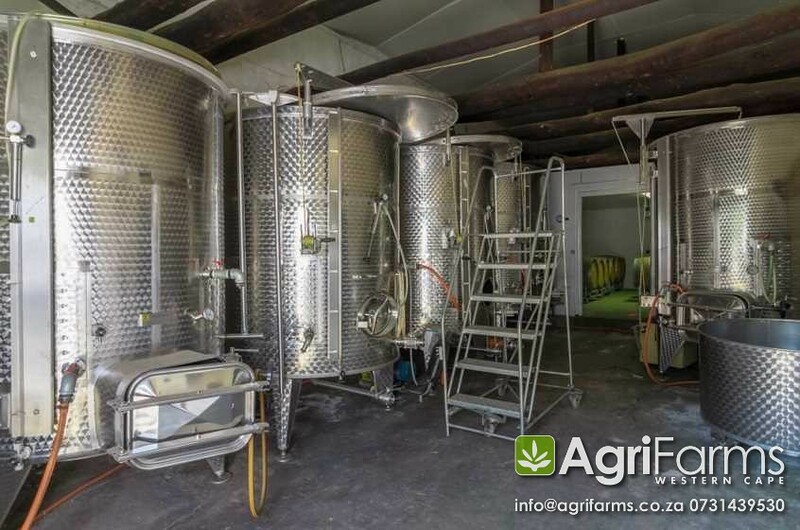 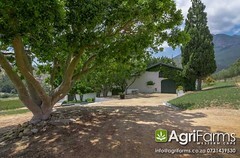 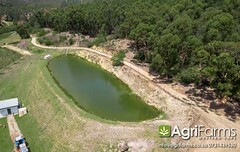 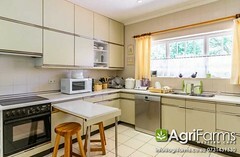 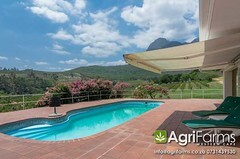 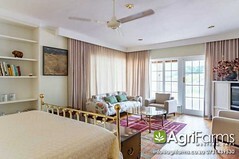 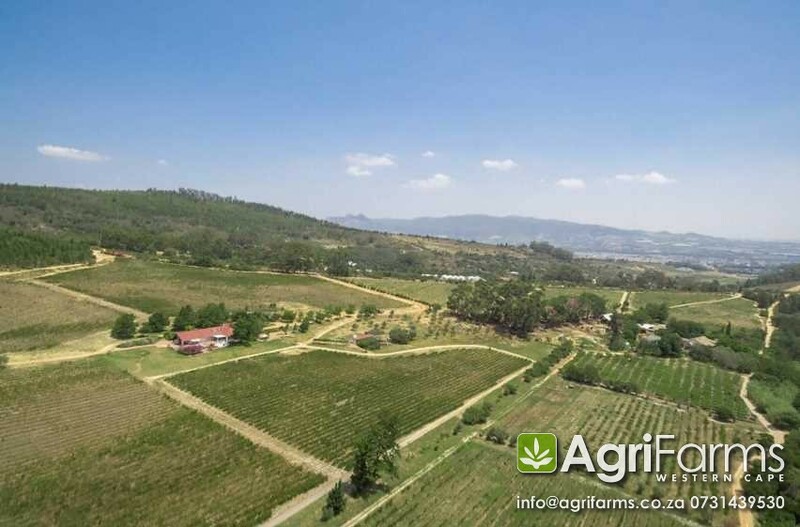 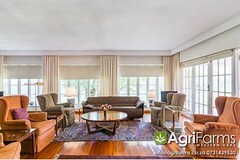 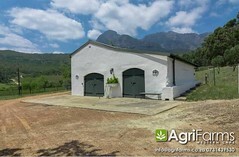 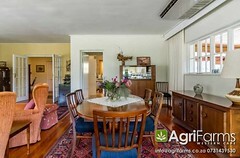 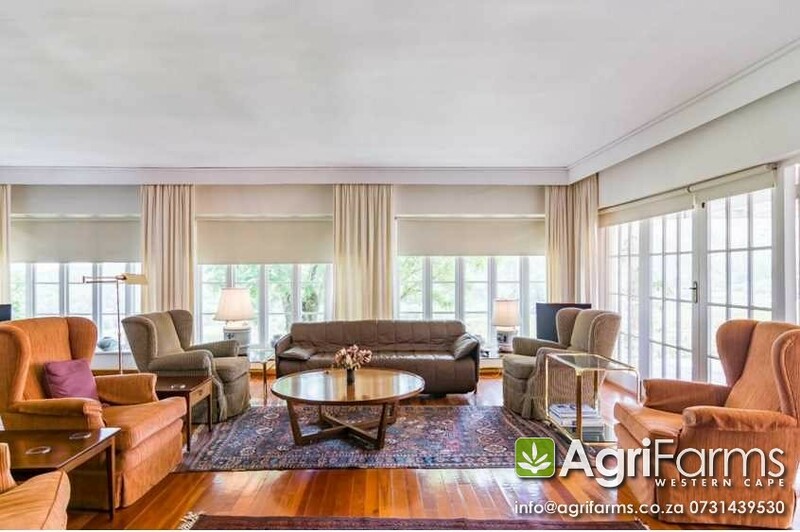 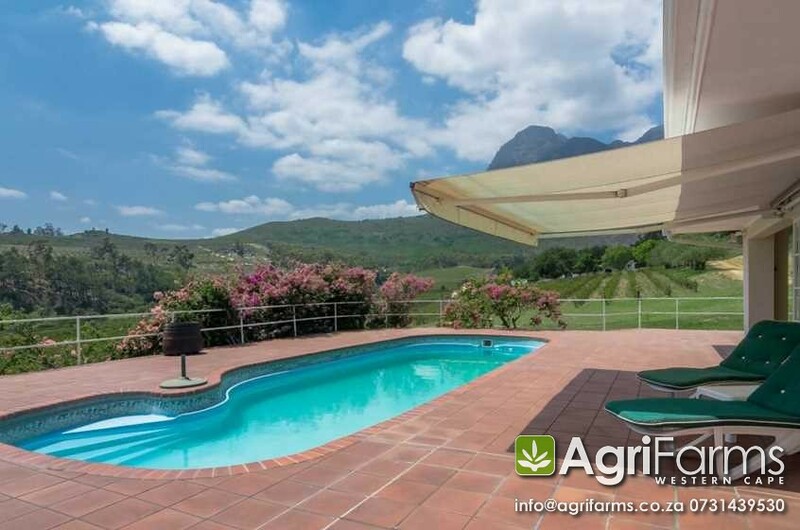 Wine cellar irrigation lifestyle farm for sale around Wellingtong in the Cape Winelands district of the Western Cape. 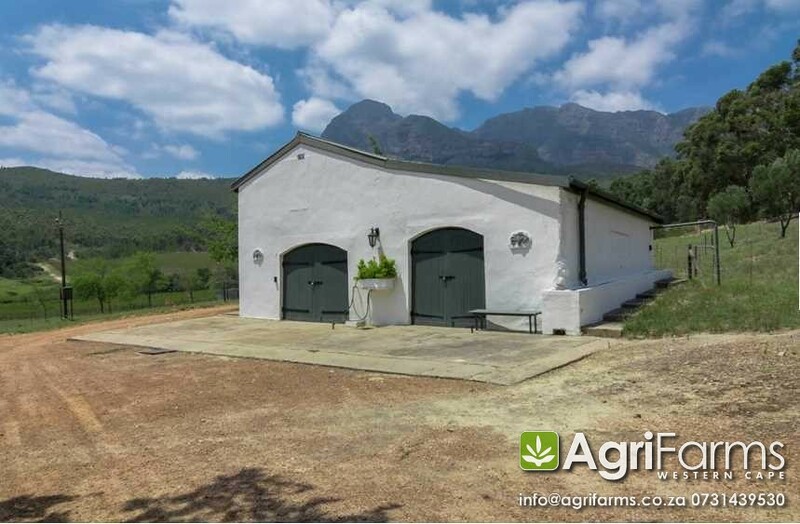 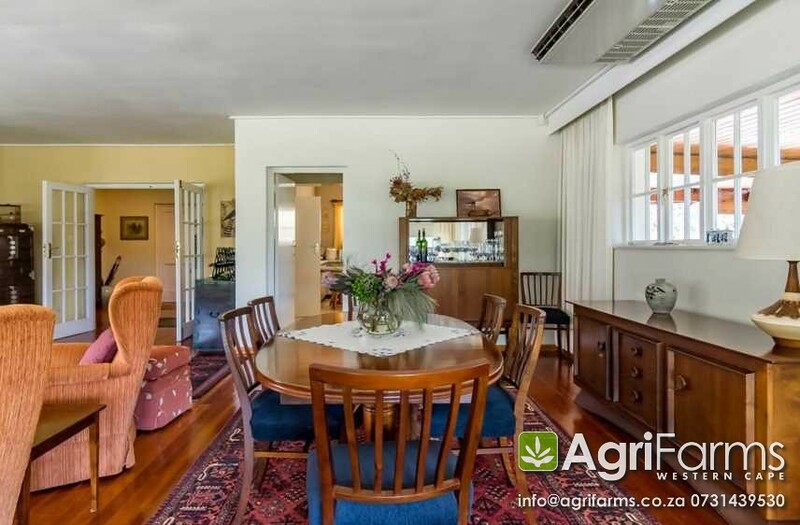 In addition to the spacious main house (300 sqm) it has 4 x 3-room worker cottages, a fully equipped wine cellar (20 ton), one roomed cottage, workshop and storage facility, outside building with a pizza oven, smoking room and cheese making and butchery equipment. 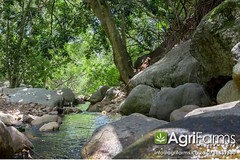 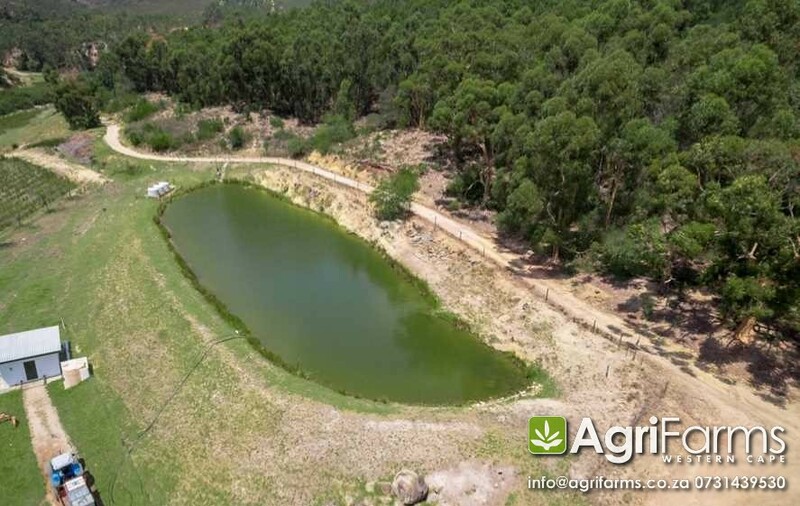 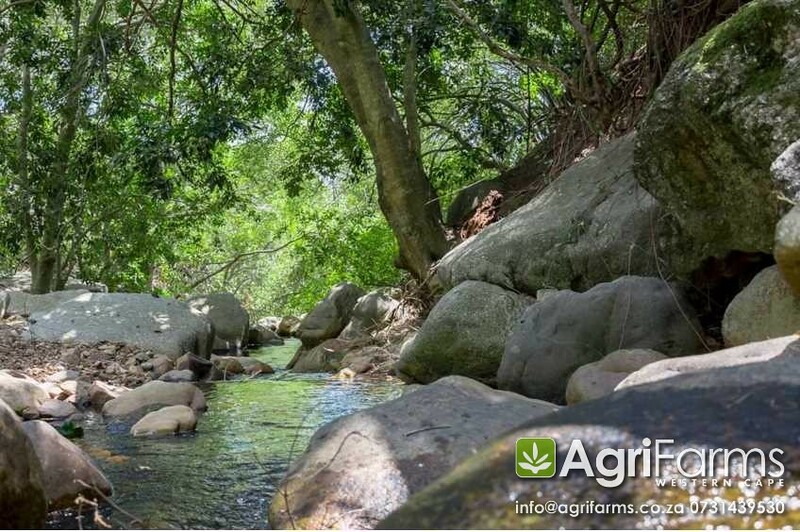 The farm has adequate water from the Spruit River irrigation scheme, service dam, a 50mm pipeline providing household water as well as various natural springs which occur on the property. 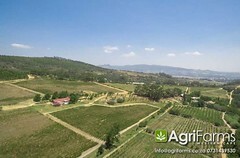 The farm has been planted to roughly 60,000 vines (neglected). 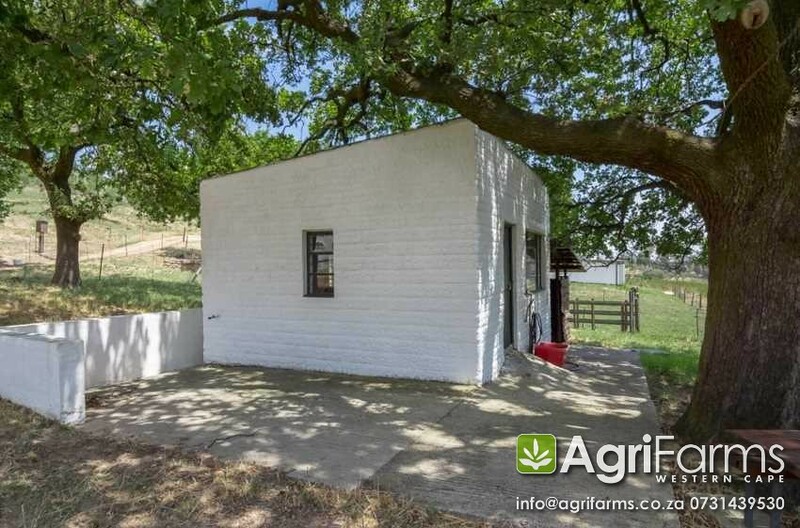 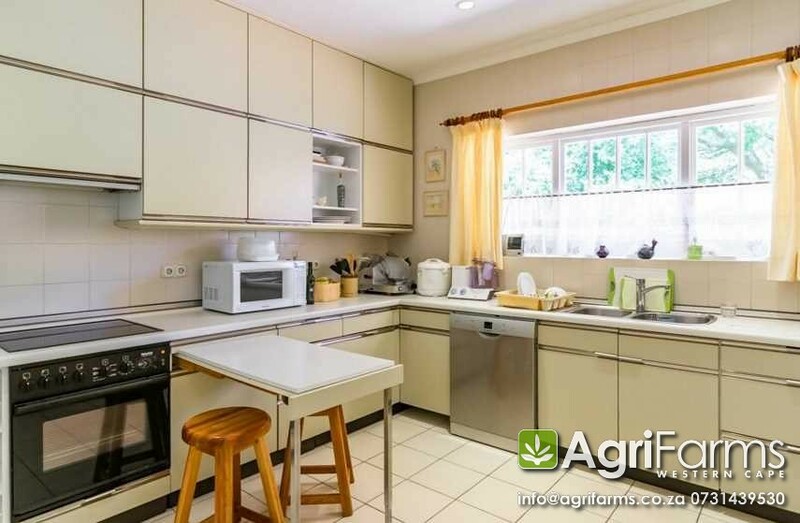 The property is sold with all up to date technical equipment (list available on request) and the price as quoted excludes VAT.